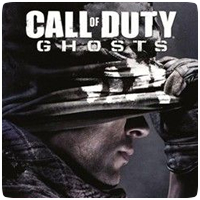 Infinity Ward’s Mark Rubin has confirmed, via the twitlonger service, that Call of Duty: Ghosts will be running at a higher resolution on PS4 than on the Xbox One. The PS4 version will run at 1080p resolution natively, while the Xbox One version will be upscaled to 1080p from a 720p resolution. Rubin says that they “optimized each console to hit 60 FPS”, suggesting that the Xbox One wasn’t able to hit 60 FPS on a native 1080p resolution.